An incredibly impressive piece of trackwork has owners “over the moon” about their outstanding 2yo filly by the Sensational First Crop Sire DEEP FIELD. Bred to be good with the looks to match, our daughter of Stakes Winner PRINCESS MARIZZA certainly appears to have inherited plenty of Mum’s ability. The fact that her Dad was one of the fastest colt’s seen on the racetrack has added speed to the mix and the blending of Mum and Dad’s genetics by the breeder seems to have paid off big time. This filly is naturally a precocious and powerful individual with a rare turn of foot reserved for horses only with natural top shelf ability. Not since we educated and sent to work ARBEITSAM - a winner of over $1.1million - have we had a youngster power up the incline at the Wild Oaks pre-training establishment with the same ease and grace. DEEP FIELD and WANDJINA FILLIES UNDER SADDLE 30 NOV. from Dynamic Syndications on Vimeo. Deep Field x Princess Marizza Filly - Parade Footage 15 November from Dynamic Syndications on Vimeo. Above: Watch her parade on 15 November 2018. Newgate Farm are a leading thoroughbred nursery in the Hunter Valley. They stand the stallion Deep Field, they own the Dam Princess Marizza and they bred the filly. As soon as we purchased her, they came over and bought a 10% share advising she was their pick of the fillies by the sire at Newgate Farm and they wanted to be involved. They appear to have a high quality racing prospect on their books. Such is the buzz about this young lady, a programme has been mapped out to have a crack at the major lead-up races to the Golden Slipper. Whilst we appreciate a lot of water has to go under the bridge before now and then, the fact remains if you don’t plan you never get there. Seldom do you get the opportunity to race a Daughter of a Stakes Winner who is a Daughter of a Stakes Winner who is a Daughter of a Stakes Winner ! Free of Danehill blood in her pedigree, she will always be a highly desirable broodmare so she offers excellent residual value. If she can measure up on the track as to what she is showing on training then, she could be worth significant money upon racetrack retirement. Our filly heads into Randwick this week, as we aim to see her at the races towards the end of January. 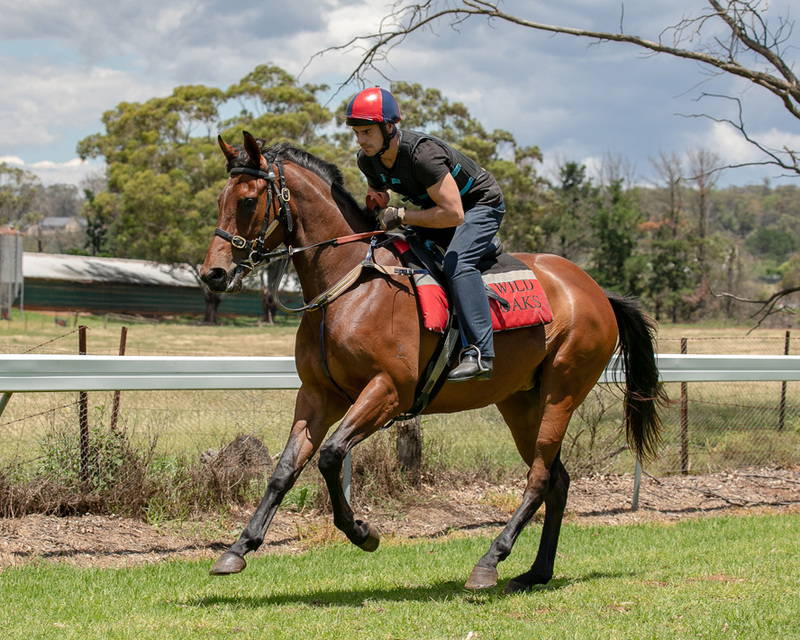 If you want to be involved in a READY-TO-RUN style 2yo with displayed ability and class to aim at the Slipper then this filly is worth your consideration. 5% Shares are $9,635 and 2.5% Shares are $4,817.50 - We have just 10% available so don’t delay contacting Adam Watt at Dynamic Syndications and reserve your share before they’re all gone !